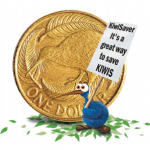 Should I make extra voluntary KiwiSaver contributions? It’s impossible to avoid all risks when you invest. The important thing is to understand the risks and then keep within a level you are comfortable with. Here at ISN we have an online risk profiling tool which evaluates your tolerance to risk and your emotional composure. A two dimensional risk profile is assembled, showing how much risk you think you should take to meet your goals against how much risk you are capable of taking before changes in your investment(s) begin to impact on your emotional wellbeing. Contact ISN on whangarei@isnorthland.co.nz to request your free online risk profile. Manager’s Insight – The objective of the Equity Inflation Portfolio is to mitigate the impact of inflation on your investment over the medium and/or long-term by investing in income orientated assets and growth-oriented assets using an active investment management approach. NZ Funds CEO, Richard James, stresses that diversification is crucial in choosing an investment strategy and also comments on KiwiSaver fees. If you have misplaced your login details please either email NZFKiwi@aon.co.nz or call 0800 693 5494.